Ya huh, Barney. That would be ironic, wouldn’t it? If I’m breaking the news to you, please know that I am sensitive to the solemnity of the occasion. 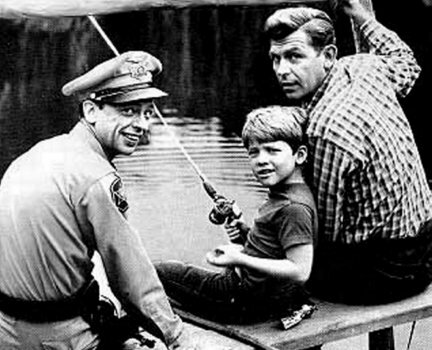 Andy Griffith, probably best known to most of us as Andy Taylor, the sensible and honest sheriff of the fictional town Mayberry (modeled after a Griffith’s birthplace, Mount Airy, North Carolina), died today. Here’s how CNN broke the story on the Interwebz: “Griffith died at about 7 a.m. at his home on Roanoke Island, according to Dare County, North Carolina, Sheriff J.D. “Doug” Doughtie.” Click here for the full story. This should clear up any questions you may have about the definition of irony. Thank you, CNN. And may peace be with you and your loved ones, Andy. I always liked Andy G. and never heard an unkind word about him. Seemed decent and like his character. One of my favorite songs is his “Waiting on a Woman” duet with Brad Paisley. Of course, the video makes me cry… Good post and all is going to be fine with him. He’s a good candidate for Heaven! *till; till I read your post. I didn’t know this rill I read your post. I loved Andy, Barnie and Opie and it’s just sad, they say all good things come to an end, it certainly applies to good people as well. Personally, the people on TV these days can hardly be compared with the older generation. Yeah, me too. Barney was a great character. Loved that show and so many of that era. I used to love Barney and all of his nerves shaking like a bowl of jello. lol I is sad when these old stars die. Hollywood and television is losing all the old classic actors. We lived in Winston-Salem for many years. Went up to Pilot Mountain (about 20 miles) and it is very reminiscent of Mayberry. Of course that’s where “Mt. Pilot” in the show came form. So good to see you, Lorna. It’s been awhile, it seems. Gotta go back and read the links. This has been a bad week for CNN. They got the Healthcare decision wrong too. It only made sense that the local sheriff was the one to let the world know that our beloved Sheriff Taylor passed on. 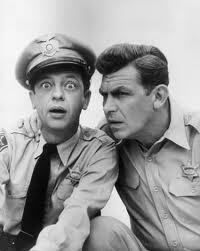 What will Barnie Fife do now?